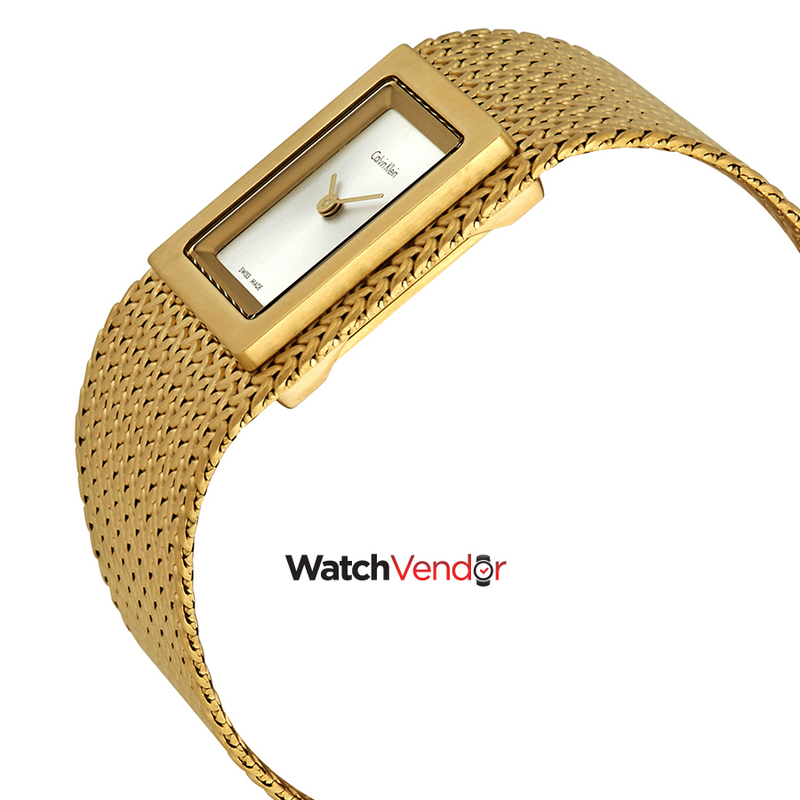 Yellow gold PVD stainless steel case with a yellow gold PVD stainless steel mesh bracelet. Fixed yellow gold PVD bezel. Silver dial with yellow gold-tone hands. No markers. Dial Type: Analog. Quartz movement. Scratch resistant mineral crystal. Pull / push crown. Solid case back. Rectangle case shape. Case diMen'sions: 22 mm x 27 mm. Case thickness: 8 mm. Band width: 27 mm. Band length: 7.5 inches. Fold over clasp. Water resistant at 30 meters / 100 feet. Functions: hour, minute. Casual watch style. Watch label: Swiss Made. Calvin Klein Mesh Silver Dial Ladies Watch K5L13536.